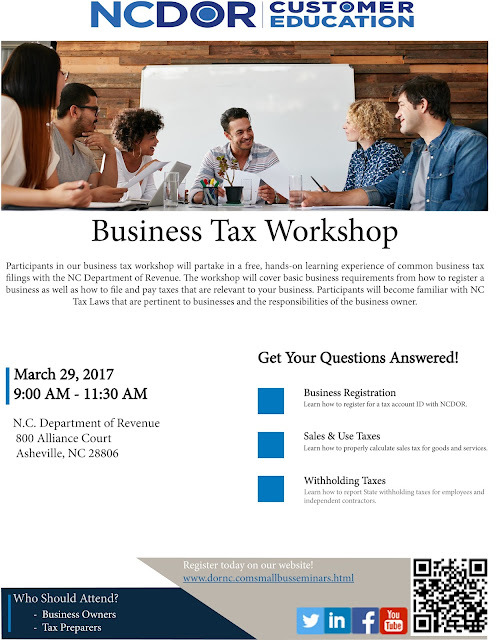 The Department of Revenue is offering a free workshop at the Asheville service center on Wednesday, March 29, 2017. This workshop is entitled "Business Tax Workshop" and will cover the basics of tax compliance ranging from registering your business, to withholding from employees, and sales and use tax requirements. 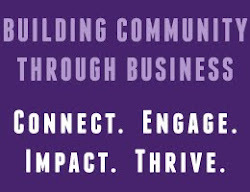 Participants may register through the following link: http://dornc.com/business/smallbusseminars.html, but walk-ins are also welcome.